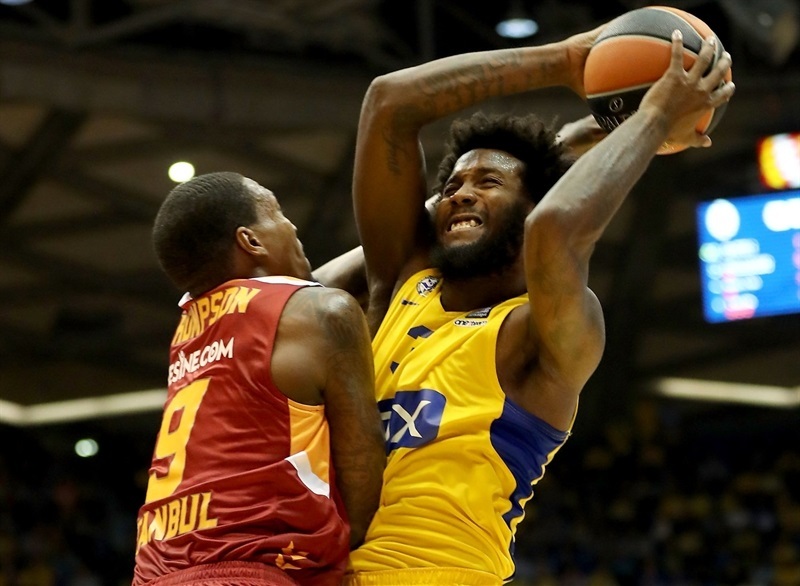 Maccabi FOX Tel Aviv and its new coach Rami Hadar registered their premier win this Turkish Airlines EuroLeague season by downing visiting Galatasaray Odeabank Istanbul 98-92 on Wednesday night. Galatasaray hit a club record 15 three-pointers, but is still searching for its first win after dropping to 0-3. 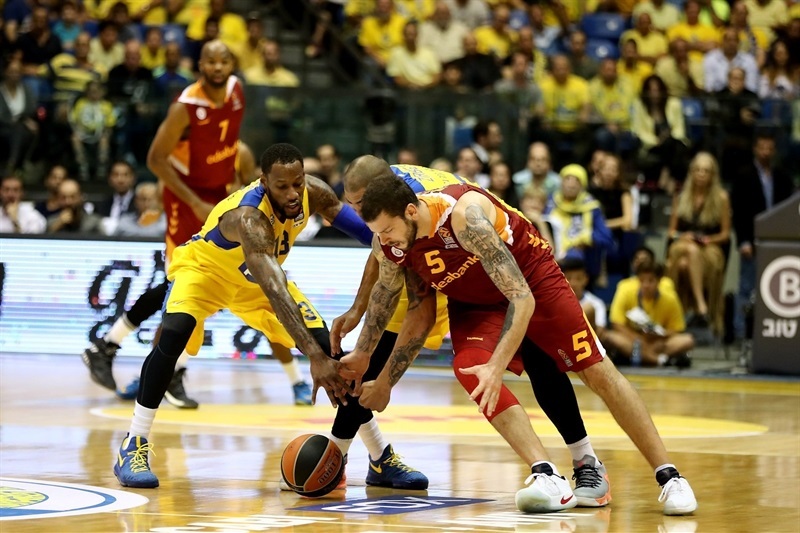 Maccabi improved to 1-2 with another great offensive display and behind five scorers in double figures. Sonny Weems netted 23 points, Devin Smith hit 2 important fourth quarter threes to finish with 17, and Colton Iverson was a strong presence inside with 17 points. 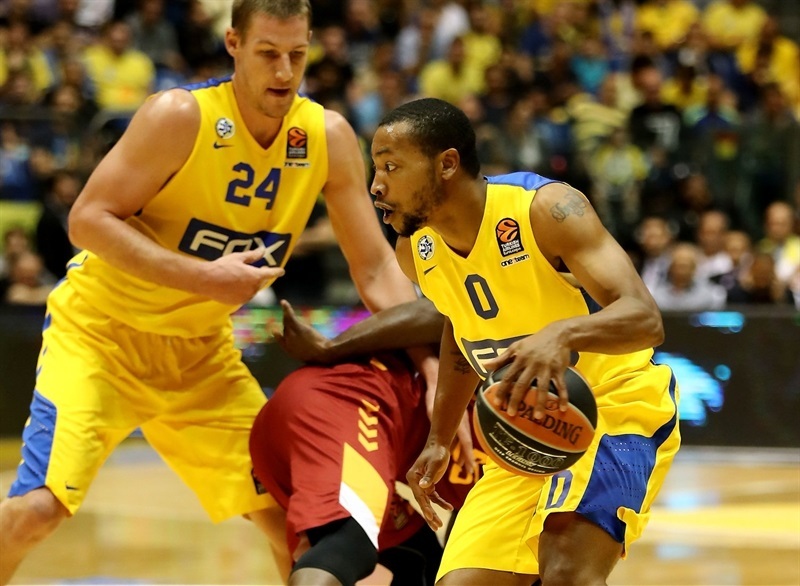 Andrew Goudelock scored 12, and Maik Zirbes had 10 points in victory. Justin Dentmon paced the visitors with 22 points on 4-for-8 three-point shooting and Vladimir Micov netted 18 points on 5 of 7 three-point shooting along with 6 rebounds. Sinan Guler also hit 4 triples and scored 15 points, while big man Deon Thompson, hampered by fouls, had 10 points in 11 minutes. The teams traded blows from the start. Sinan Gular hit a pair of triples, but one long-distance dagger from each Weems and Yogev Ohayon had Maccabi Up 14-12. 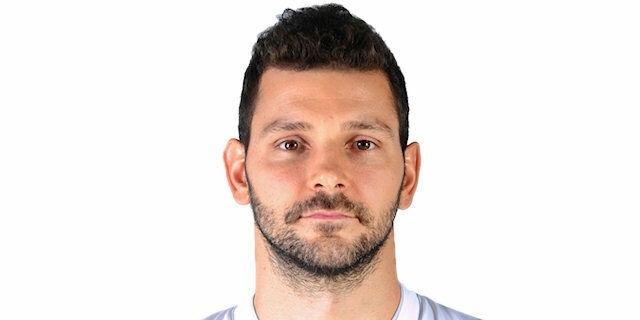 But Galatasaray was hot shooting from downtown, with Vladimir Micov and Dentmon hitting one apiece to give the visitors an 18-24 edge after the first quarter. 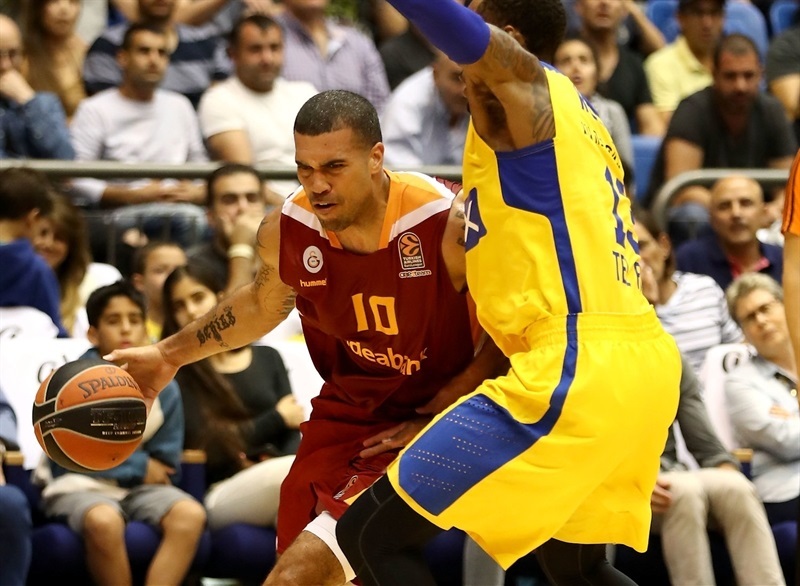 Smith and Iverson got Maccabi back to tie it at 36-36 midway through the second stanza, but before halftime, Dentmon, Guler and Austin Daye each had a three that helped Galatasaray pull out to a 7-point lead, before the visitors went into the break, up 44-47. In the third quarter Weems and Smith got the hosts into a slim lead, which Goudelock and Victor Rudd helped protect. Galatasaray stayed in the game with more threes from Micov and Guler and kept it within 69-65 after three quarters. 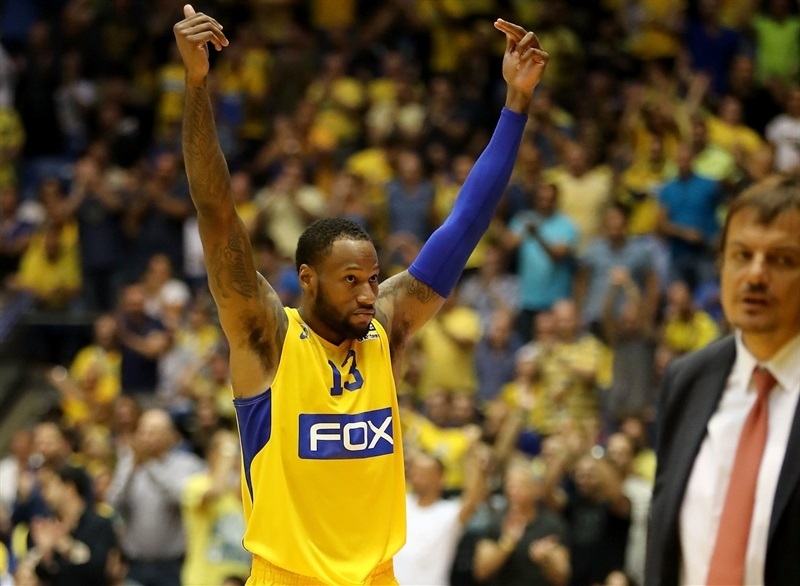 Threes from Dentmon and Daye cut the difference to 77-76 with 6:30 to go, but Smith hit a pair of triples for Maccabi, Weems added one too, and the hosts started to pull away. 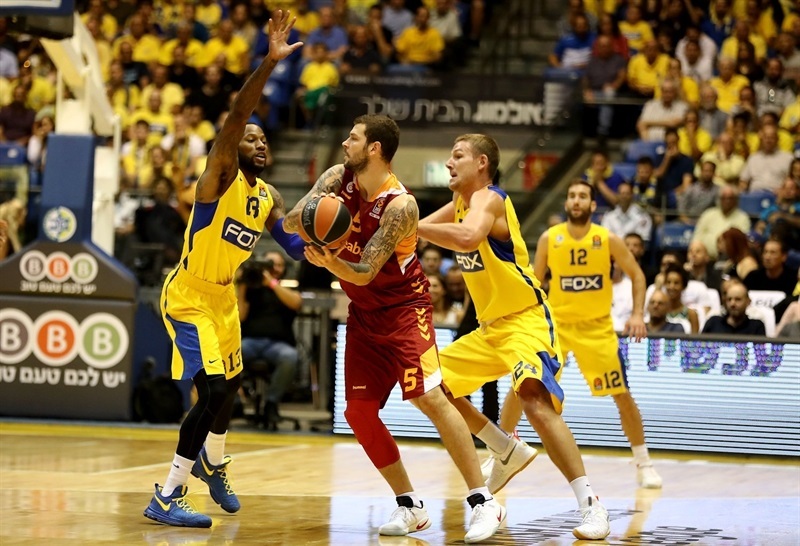 Maccabi did not allow a field goal for more than three minutes, increased the margin to 96-87 with two minutes remaining and closed the game out. 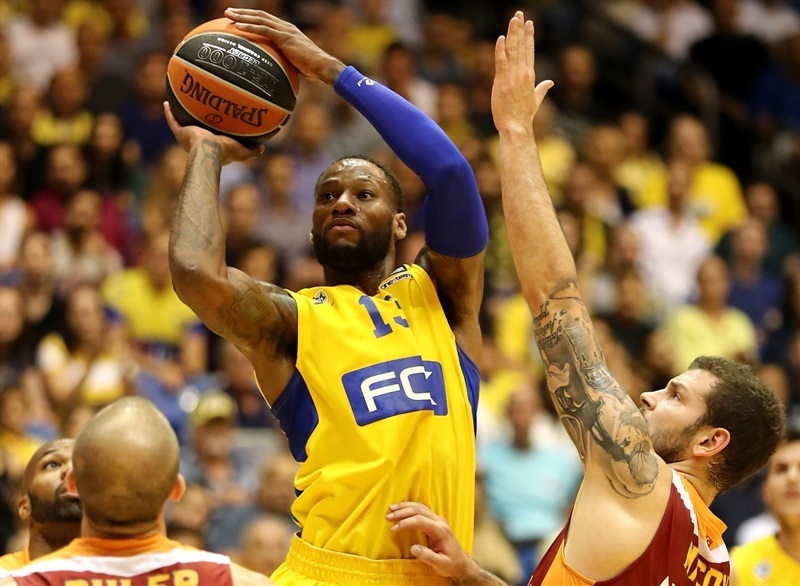 Next, Maccabi travels to face Zalgiris Kaunas (1-2) on Friday, while that same day Galatasaray will face its arch-rival, undefeated Fenerbahce Istanbul. "We had tough week, and a tough game. But guys played hard, fought it all the way. I'm happy with the win. We have to start and play defense, with both the effort and the technique." "This was two offensive teams playing. We played good on offense tonight, we found open players for open shots, and we attacked very well. We dominated in the first half, took control of the game in first and second quarters. 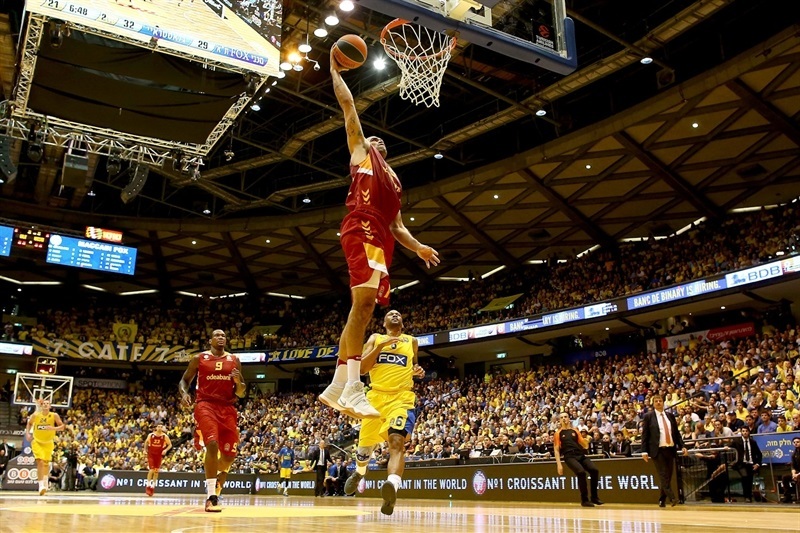 In the third quarter we allowed Maccabi a 7-0 run, that is when we lost control of the game. We continued with defensive mistakes. 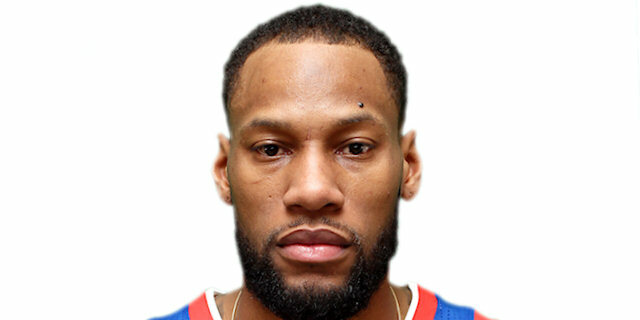 I think we stopped Goudelock well, but Maccabi found an extra point guard with Seeley and had Weems. 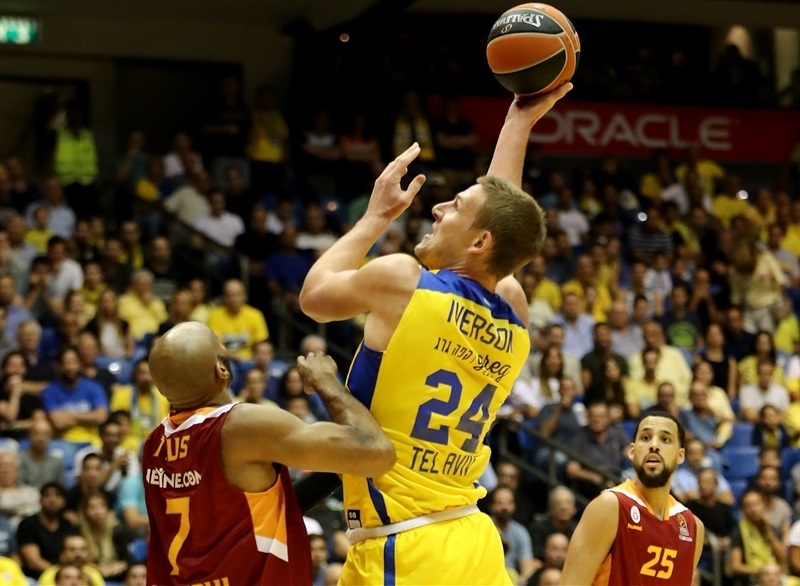 But we did not find a way to stop their inside game; Colton Iverson had 17 points, that is too much. We have to find defense. Also, fight under the basket. I tell my players to be stronger, and if they make fouls, to make strong fouls, not let them score basket-plus-fouls. 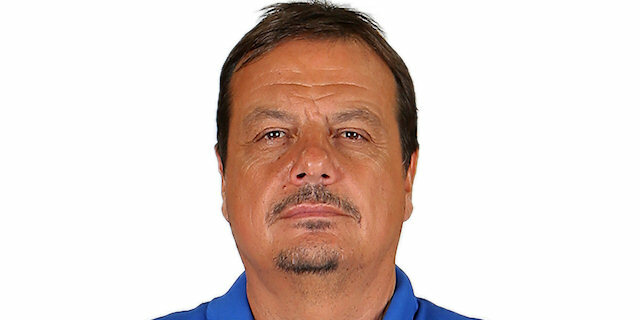 We will try on Friday, I will try to motivate my players. It is a very important game for us against Fenerbahce." "It was very important win, especially after everything going down this week. We have been working hard since we got here, and I think we deserved the win. We came out with more energy in the second half. In the first we were just kind of walking around, lackadaisical We came with a lot of energy in the second half, and that made the difference." "Unfortunately we lost. We had a chance. After two tough losses we played good. In the first half, we found a rhythm, moved the ball very well and hit some open shots. 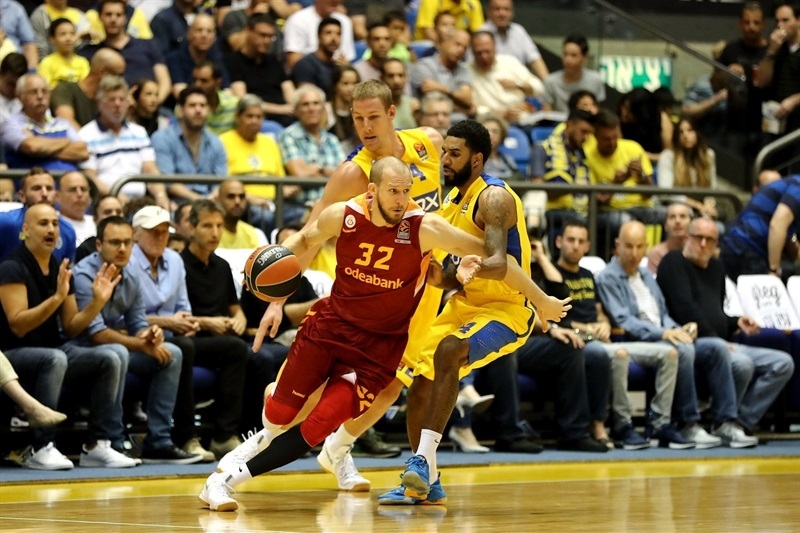 Maccabi is a good team, and fans pushed Maccabi in the end, when we did not manage to find an inside game because our big guys were fouled out. We had a problem with boxing out. They won, but I think we found some rhythm and we should play like this in the future."